I’m a big fan of making your own wall art when you’re looking to fill a space or add some interest to a room. I’m also a fan of that sweet spot where those hippy vibes intersect with Scandinavian design and birth something a little bit of both! Can we call it Hippy-Scandi? Did we just make that up? Get me to the patent office! 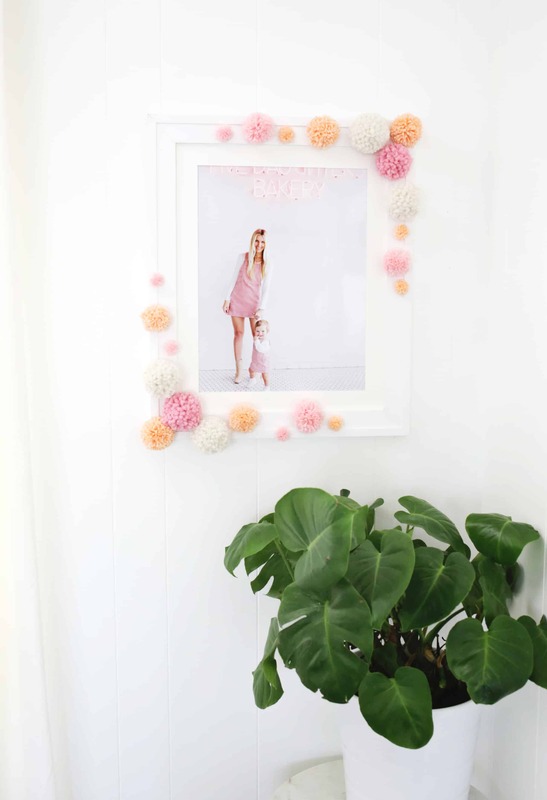 This project would work beautifully in a living room or studio, but it would also be precious for a nursery (as long as it wasn’t hanging within reach). I created this almost exclusively from supplies I had leftover from other DIY projects, but you can also find each of these items at most hobby stores or online. 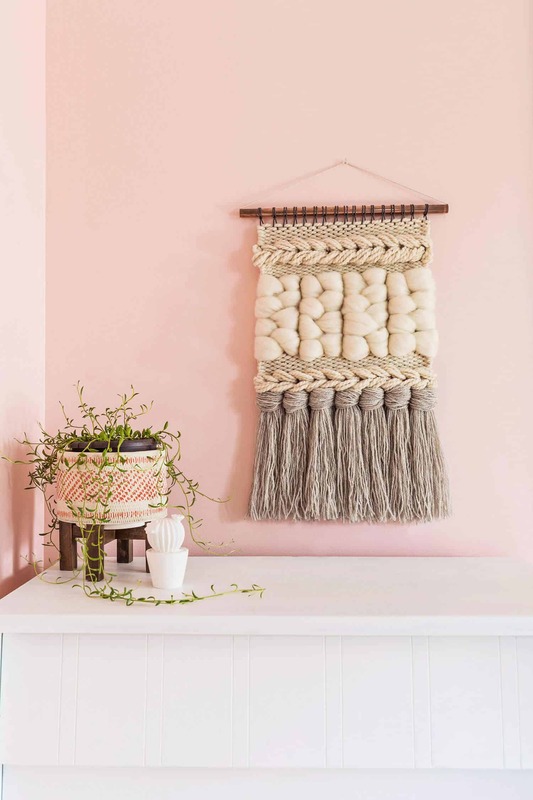 It’s the type of project that would be even more fun to make if you ordered enough for all of your friends to come over and have a ladies’ craft night! Step One: Prep your brass circle by hammering a nail clean through it somewhere near the edge. Make sure it’s not TOO close to the edge. Be aware of your surface under the brass circle so you don’t get a hole through your hardwood floors, too. I suggest either a self-healing mat or a piece of scrap wood. Then nail a hole in the opposite side of the brass circle. Step Two: Use your awl and punch a hole through each end of your leather strap about 1/2″ from the end as shown. If you don’t have an awl, go ahead and use your hammer and nail again. Step Three: Cut two inches off of your brass pipe with your pipe cutter so that it sits near the bottom 1/3 of your embroidery hoop. You might want to incorporate the scrap piece in another part of your mobile or a different piece altogether. 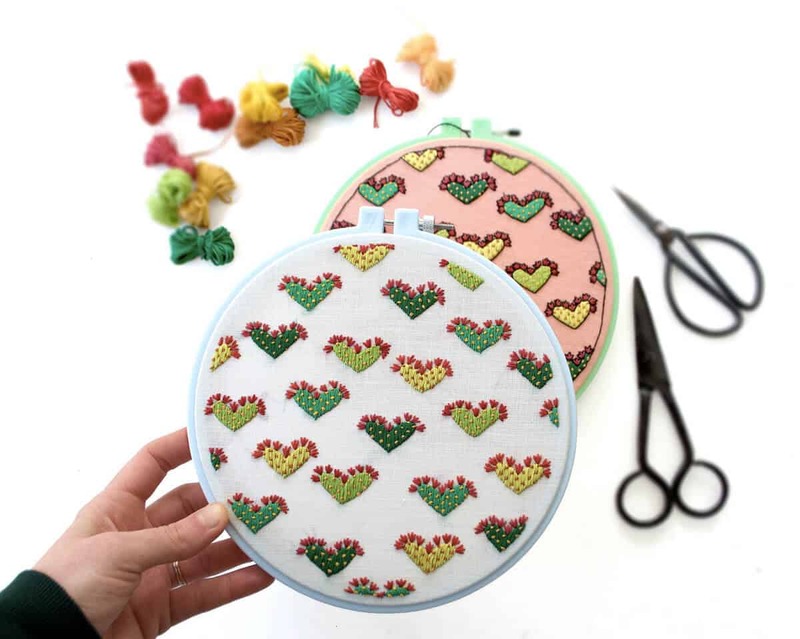 You’ll only be using the inner wooden circle of your embroidery hoop for this piece. Step Four: Wrap your peach cotton yarn around your hand about 30 times as shown. Step Five: Cut your wrapped yarn at one end and then tie it with another piece of yarn at the fold. Continue making your tassel by tying around the folded strings and tying another knot. This will get trimmed up later. Step Six: Place everything as you’d like it to be strung together to make sure you’re happy with it. Step Seven: Tie a length of ecru cotton yarn through your brass circle and tie a knot with a 6″ tail. Stitch both of those ends through the first wooden bead and then tie those ends around your wooden hoop and tie a knot to secure things. You want your bead to be almost flush with the wooden hoop. Stitch the longer end of your yarn through the next three wooden beads. Step Eight: Stitch through one end of the leather strap from the inside, and then wrap around one side of the leather strap and stitch through the same place. Wrap around the other side of your leather strap and then back down through the hole of the top wooden bead as shown. Step Nine: Stitch through the other side of your leather strap from the inside. Step Ten: Wrap it around one side of your leather strap and stitch through the same place. Wrap around the other side of your leather strap and then stitch through the wooden bead again. Step Eleven: This is how it should look so far. This will keep your leather strap secured around the top wooden bead. Step Twelve: Stitch down through the next bead and then the next bead. Tie a knot around the wooden hoop and then hide the end by tucking it back up through the wooden bead. It shouldn’t show. Step Thirteen: This is how your beaded hanger should look. Tie your peach tassel onto the bottom of your brass circle. Step Fourteen: Cut a 4′ length of ecru cotton yarn and stitch it through your length of brass pipe. Tie a knot around one side of the wooden hoop and tuck the short end back into the brass pipe. Tie the other long end of the yarn around the other side of the hoop but don’t trim. Step Fifteen: Wrap the rest of your ecru cotton yarn around the wood hoop until you have a 3″ tail. Then make three more tassels, one of which is twice as long as the other two. Tie them onto the bottom of the hoop as shown. Trim the ends to about 1/2″ long. Cut another 4′ length of ecru cotton yarn and tie one end to the tail of the first one. Trim the ends to about 1/2″ and then wrap over the top of them so they are hidden and continue wrapping until you have about 3″ of a tail left. Repeat until you reach the other end of your brass pipe and be sure you wrap around the peach ends so they can’t be seen. Tuck your tail through the brass pipe again. Trim your tassels so that they are even and balanced. Credits//Author: Rachel Denbow. Photography: Rachel Denbow and Janae Hardy. Photos edited with the NEW A Beautiful Mess actions. This is so simple and beautiful, I love it! Would be perfect for my living room! So cute and simple! I have a few of these supplies at home, I need to get ta work! This is so beautiful and simple! I think I’ll have to make one for my office! So minimal and yet so cute – love it! I love this!! It’s so cute and so simple to make! I can’t wait to try it out! You guys come up with the cutest designs and DIY ideas. I’m pretty much addicted to your blog! 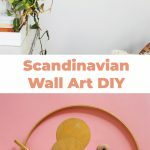 I’m Swedish and to me this decor looks very un-Scandinavian. Thanks for sharing.Is as a peacemaker. I find debating painful. I am not good at it. plain and simple. I admire those who can do it well.